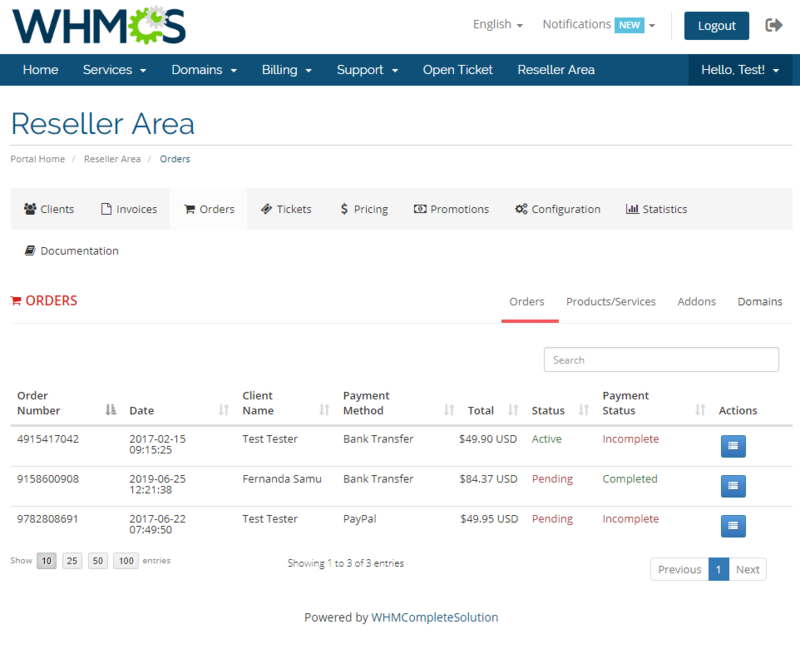 Resellers Center For WHMCS empowers your resellers with tools to control end clients and their orders through WHMCS! 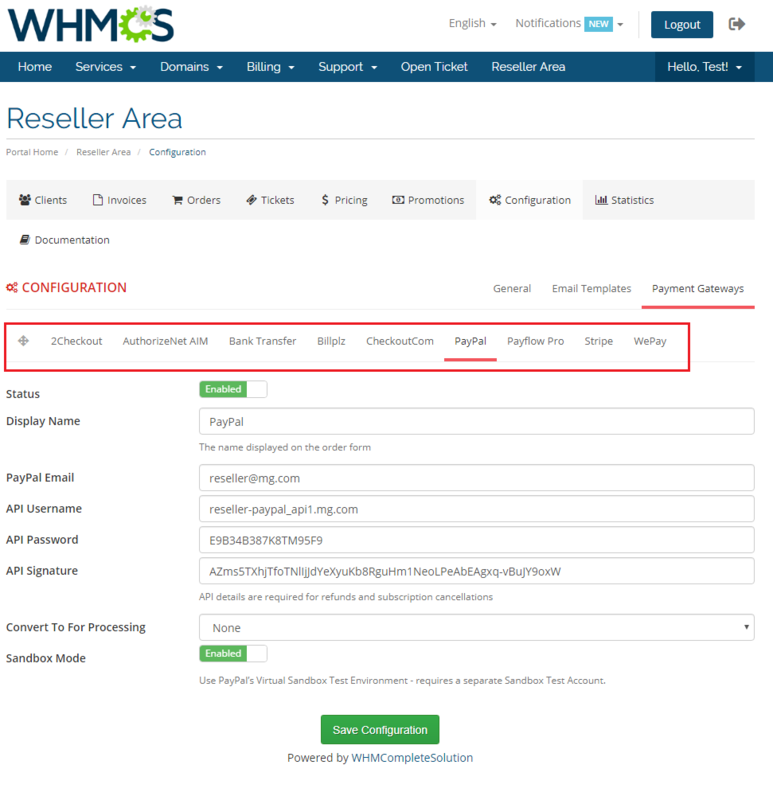 Thanks to Resellers Center For WHMCS, your resellers will be allowed to collect dedicated customers and select for them specific products, services and domains. 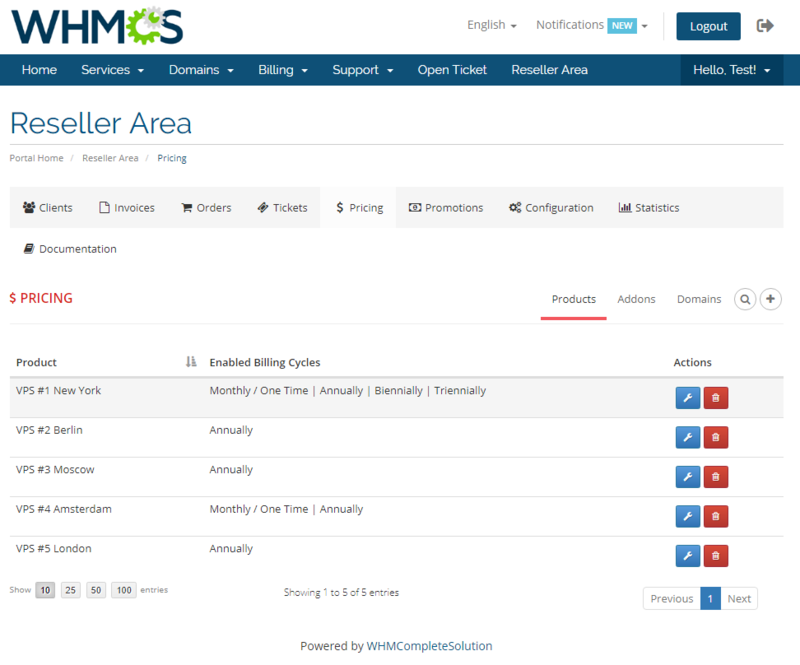 Moreover, the module enables end clients to perform convenient orders of services straight from your WHMCS. What is more, they will be able to log in to their own WHMCS account with regard to handle their services, formulate tickets and pay invoices. 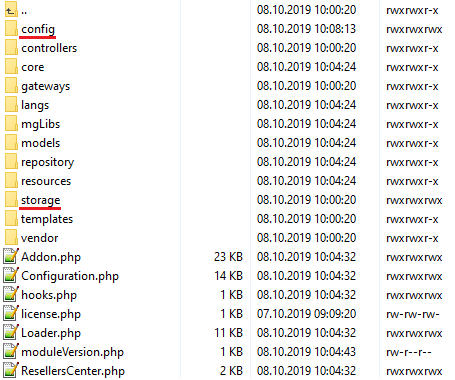 Installation of Resellers Center For WHMCS requires a few simple modifications of the template files. No worries, we will guide you step by step through the entire installation process. Note: If you are still using any of Resellers Center For WHMCS previous versions prior to v3.x, read about it here. 4. 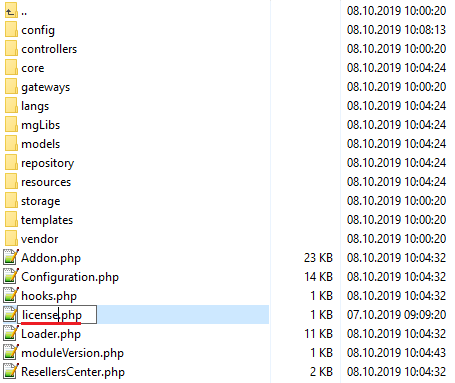 When you install Resellers Center For WHMCS for the first time you have to rename the 'license_RENAME.php' file. File is located in 'modules/addons/ResellersCenter/license_RENAME.php'. Rename it from 'license_RENAME.php' to 'license.php'. 6. The next step is setting up the 'storage' folder as writable. It is located in 'your_whmcs/modules/addons/ResellersCenter/'. Afterward, find 'Resellers Center' and press the 'Activate' button. 8. In the next step, you need to permit access to the module. To do so, select the admin roles which should have access to the module. You might as well enable hooks to ensure that all the module's functions work as intended. Optionally, choose whether you want to allow your reseller's end-clients to perform orders in your main store or to make them purchase products only through the reseller's store. 9. 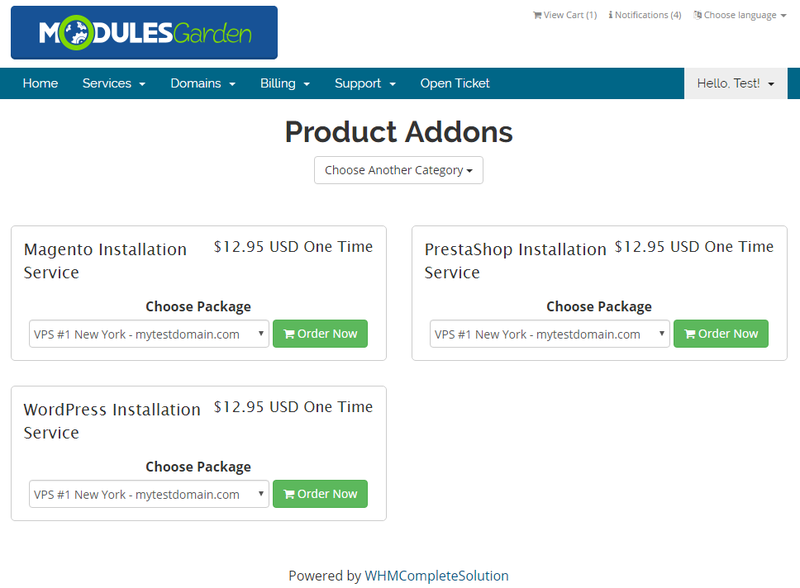 Afterward, go to 'Addons' → 'Resellers Center' → 'Integration Code' and follow the instructions. Note: Please keep in mind that WHMCS versions prior to V7.2 are no longer officially supported by the module. 10. 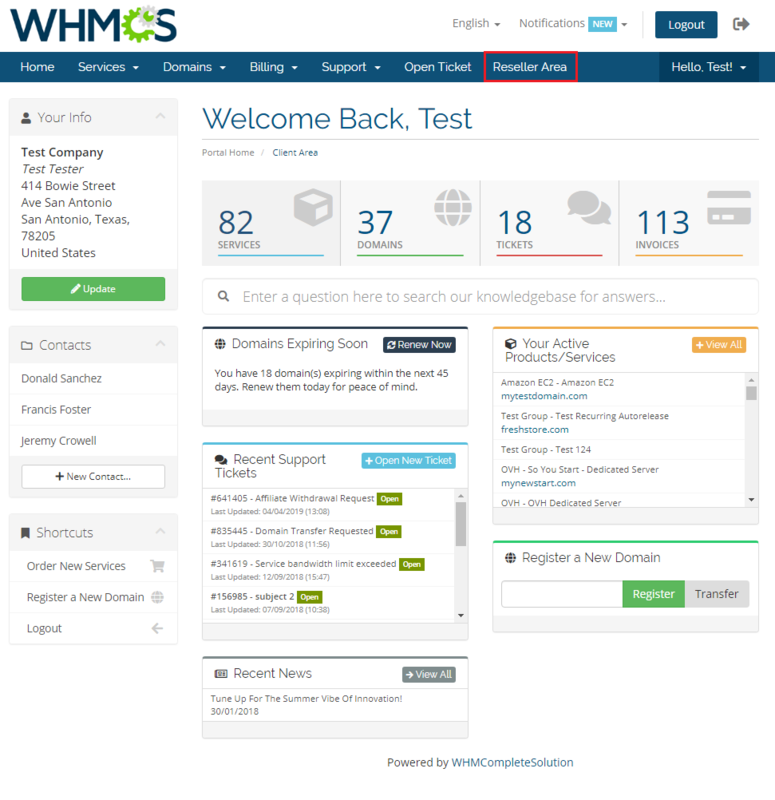 You have just successfully installed Resellers Center For WHMCS! 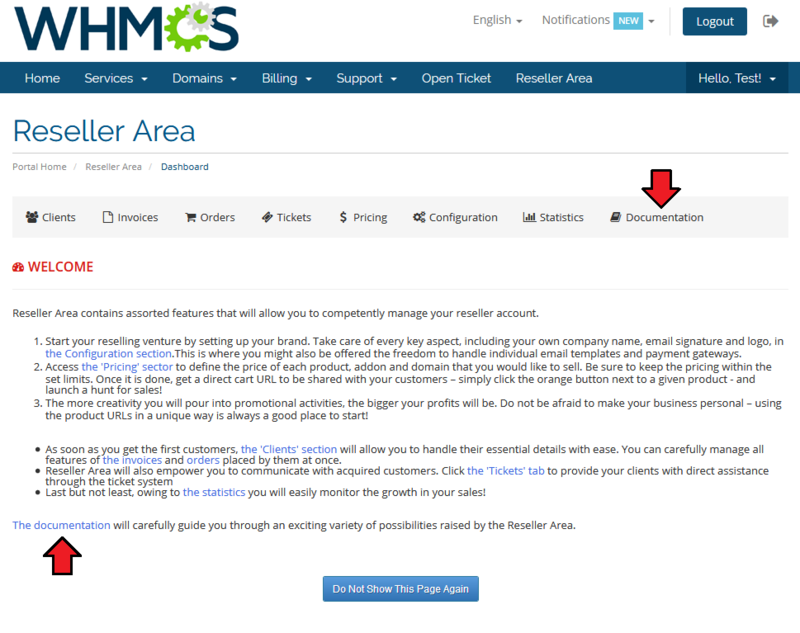 Management of Resellers Center For WHMCS is very convenient. You can supervise everything from the addon. What is more, the module extends possibilities of both your resellers and their customers. Let us find out what our product can do! In this section you can find more information about a global configuration. Additionally, here you can also read about the details of migration. In the 'Configuration' tab you can set up global settings of the module. You can define 'General', 'Billing' and 'Email Templates' settings. Please note that these settings are default for all resellers. 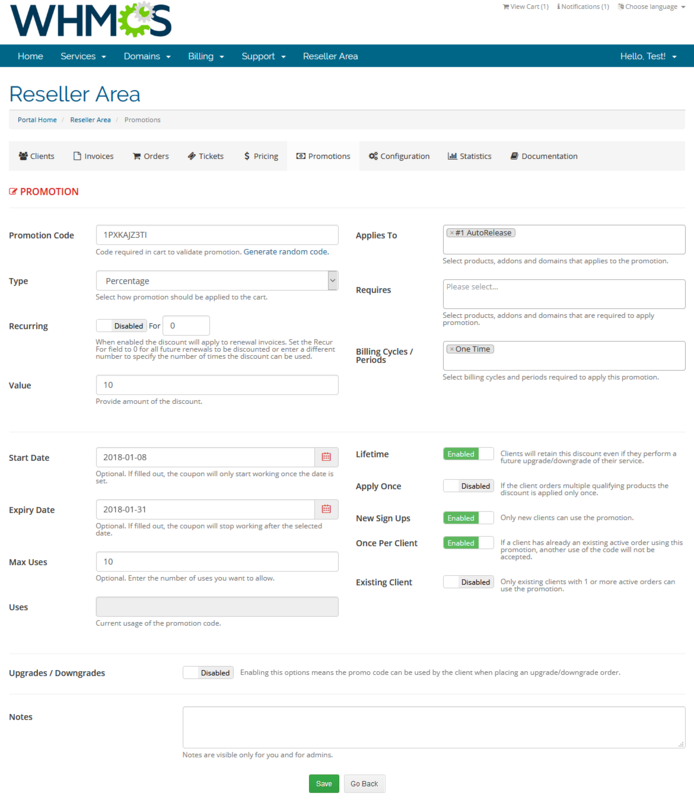 Read this section through to find the details of configuration per each reseller. Enable Store Branding - Allows resellers to set up a custom logo, company name and domain. Allow Products - If enabled, resellers will be able to sell properly configured products in their own stores. Allow Domains - Gives resellers possibility to sell domains in their own stores. 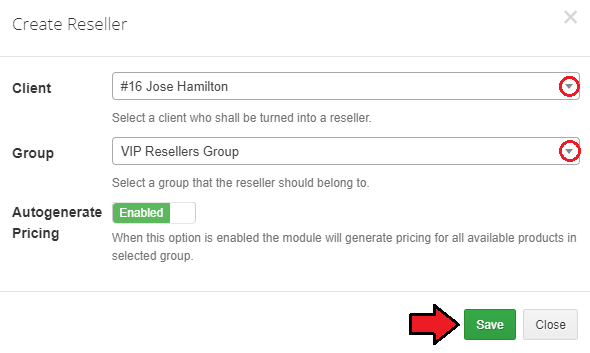 Allow Promotions - If enabled, the reseller's end-clients will be able to the use promo codes in the reseller's store configured by the resellers in the 'Promotions' section. 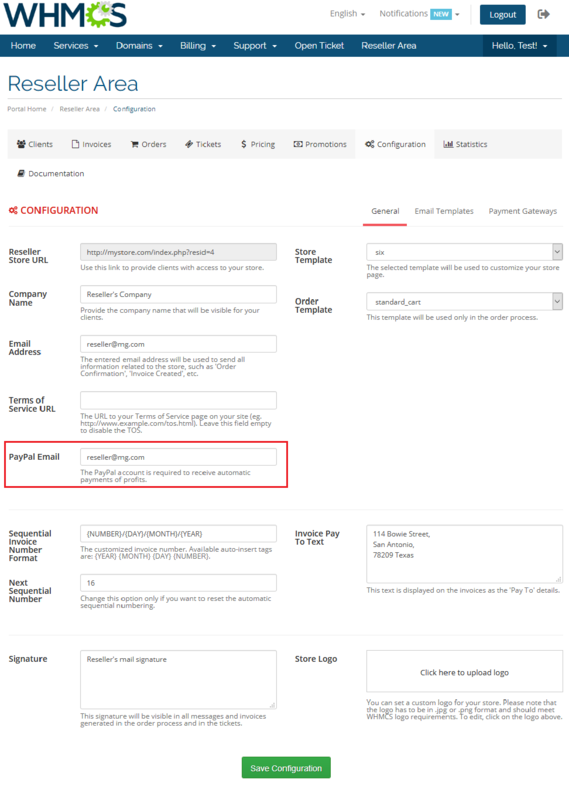 Default Reseller Documentation - Select the default documentation to show for new resellers. Ticket Departments - Allows you to choose ticket departments available for end clients as they will contact resellers. Templates - Allows you to select client area templates of the resellers store. Order Templates - Allows you to select order templates set for a cart view in the resellers store. PayPal Auto Transfer - Enables automatic transfers to a reseller's account. Invoice Branding - If enabled, resellers can brand the number and basic information on the invoice. 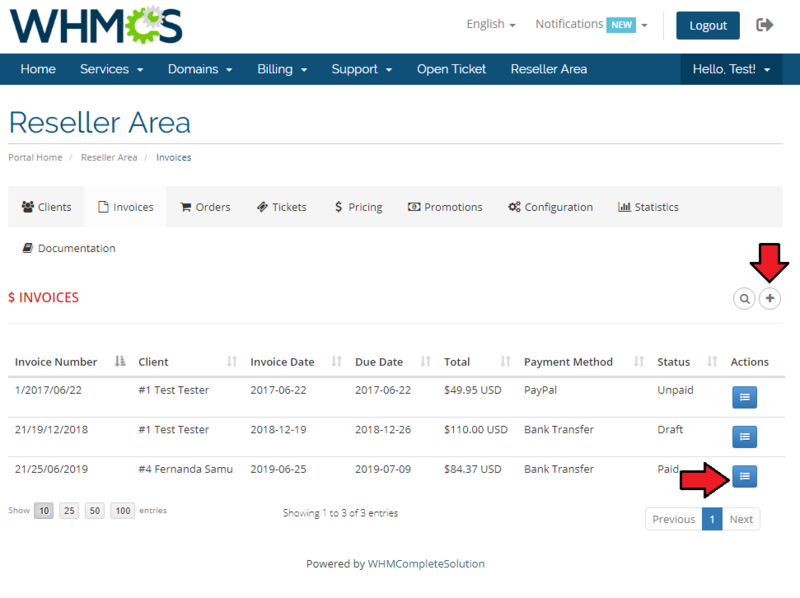 Reseller Invoice - If enabled, resellers can issue invoices for end clients directly (otherwise, invoices are generated by the administrator). 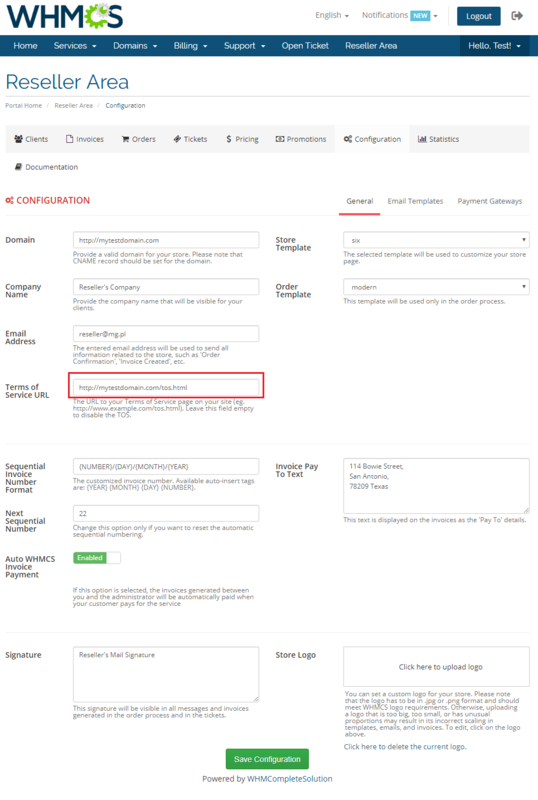 This option also permits resellers to use their own configuration data in payment gateways settings. Once they do it, end clients are able to make payments directly to the reseller's account and the reseller settles debts with the administrator using prepaid WHMCS credits. 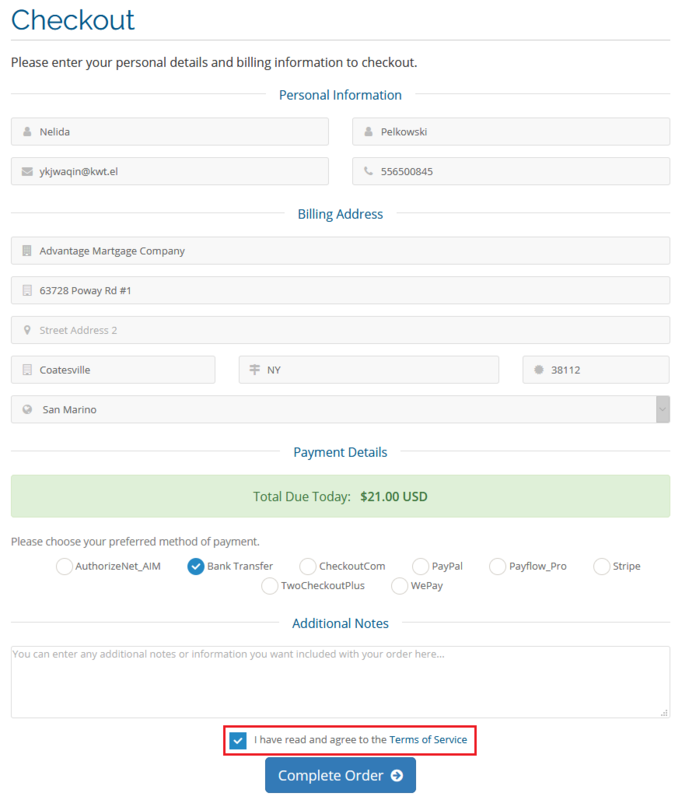 Important: When you enable this option and any invoice is created in the meantime, you will not be able to disable it anymore! Sequential Invoice Number Format - Required if 'Reseller Invoice' is enabled. Gateways - Allows you to select gateways that resellers can enable in their own stores. This option is only available if 'Reseller Invoice' is disabled. 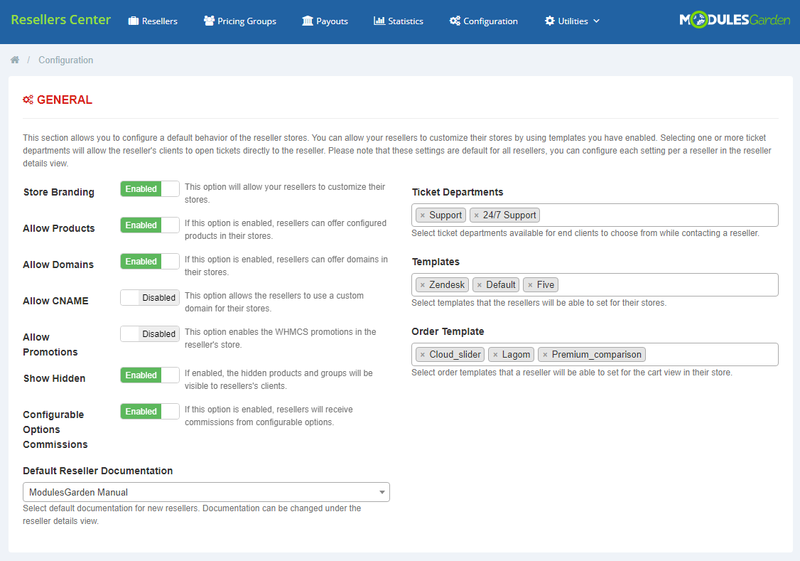 Here you can enable/disable numerous options that a reseller can customize later on. Global configuration settings, enumerated and explained above, can be also defined for particular resellers. You may alter them for single reseller, the global settings will be overwritten by these ones. Go to the 'Resellers' tab and press the marked button to continue. Here you will find the details related to the chosen reseller. In the 'Configuration' section you can select preferred 'General', 'Billing', 'Miscellaneous' and 'Email Template' settings. Under the first tab, you will find exactly the same options to configure as in the global settings. Turn Off End Client Invoices - If this option is set to enabled, the end client will not receive the created invoices. Credit Payment - This option, when enabled, gives the reseller's clients the possibility to pay using credits. Turn Off Login To Main Brand - If this option is enabled, the reseller's clients will not be able to log into the main WHMCS store. 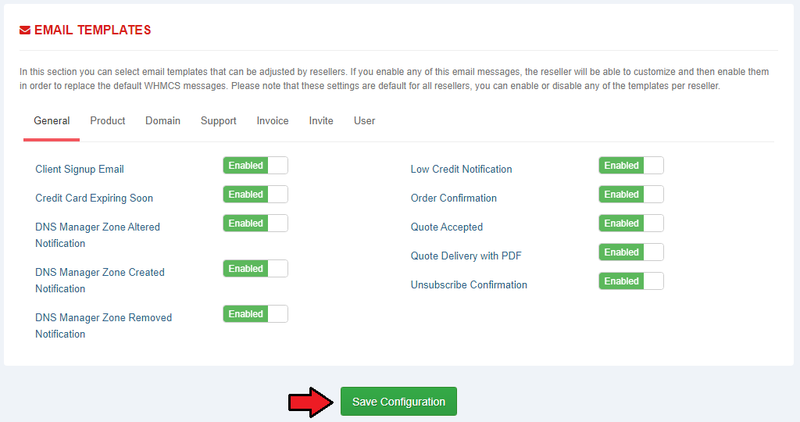 Turn Off KnowledgeBase - This option allows you to disable access to the KnowledgeBase for the reseller's clients. 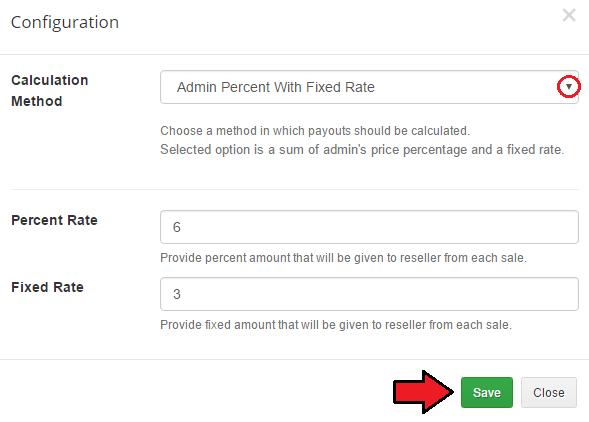 Allow Promotions - This option enables the promotions in the reseller's store. Allow Mail Wrappers Change - If this option is enabled your resellers will be able to change a global mail header, footer and CSS for their email messages. Important: If enabled, please inform the reseller that the fields are obligatory. If left empty or filled in incorrectly issues with emial templates formatting are bound to occur. Exemplary settings can be found in 'WHMCS Setup' → 'General Settings' → 'Mail'. The last 'Email Templates' section contains the same list of email templates to enable/disable as the global configuration. In this section you can find more details about the management possibilities. We will show you how to set up key options to ease the module's handling processes. In order to grant any of your clients resellers' rights, you need to configure a group first. To do so, proceed to the 'Pricing Groups' tab and click the button as shown below. A popup window appears. Just fill in a group name and press 'Create'. As you can see, a new group is visible on the list. It does not have any product configured. To add a new product press the button as presented below. Choose a new product from the 'Add Product To Group' dropdown menu and press 'Save'. It is possible to set pricing (1) for different billing cycles and currencies. To confirm settings press 'Save' . Several methods for the calculation (2) are available. Choose the one you want to use from the dropdown menu. To confirm settings press 'Save' next to the product you have configured. The procedure is quite similar when it comes to adding addons and domains. Click the right button to add a new addon. From the dropdown menu choose the one that will be added to the group. 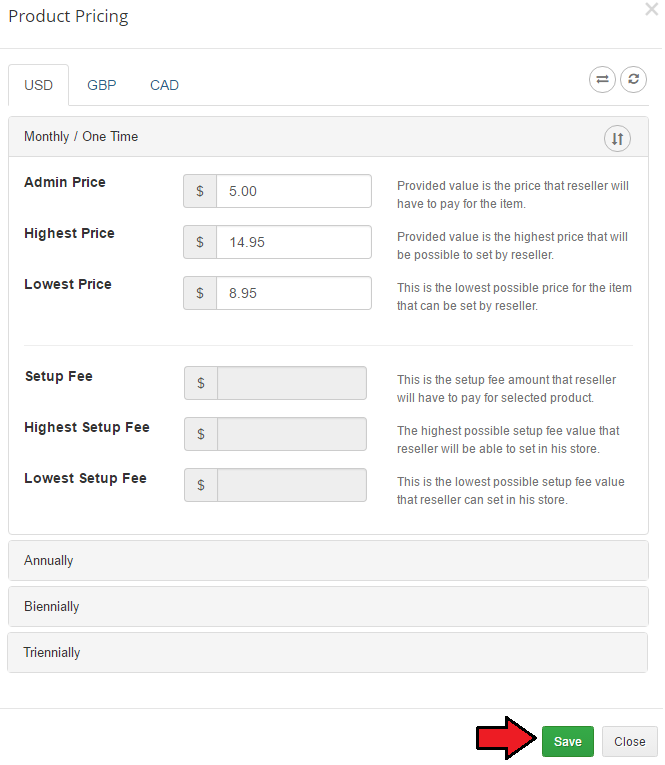 Now you can set 'Pricing' and 'Calculation Method' or delete this addon. In order to add a new domain click the right button, as shown below. Now you can set 'Pricing' and 'Calculation Method' or delete this domain. 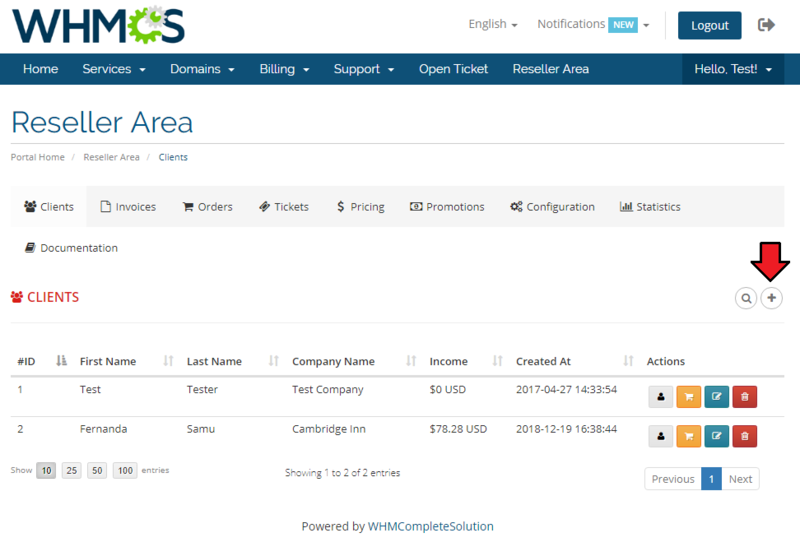 'Resellers' tab displays all clients from your WHMCS system. You can use it to assign any client to a reseller's group, that will activate them as resellers. Click the button as shown below to create a new reseller. Assign the new reseller to the chosen group. 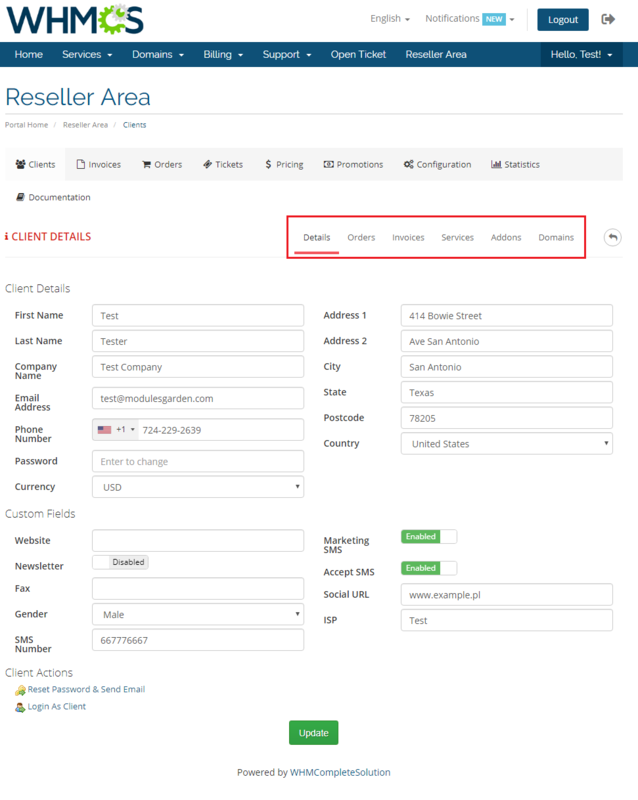 To see resellers' clients go to the 'Resellers' tab and click the button next to a selected reseller. Here you can obtain more details about your customers and their clients. Apart from clients, you can manage here also invoices, transactions and services. You can also assign a new client to this reseller. Move to 'Services' to obtain more details about the clients' services and add any other products/addons/domains that are not yet assigned to this reseller's store. In the 'Payouts' tab, you can view the list of all resellers' transactions and make profit payouts to them. Moreover, you can accept 'Mass Payments' for selected resellers here. Please note - this tab is only used if the 'Reseller Invoice' configuration is set to 'Disabled'. Otherwise, the resellers settle debts with the administrator using prepaid WHMCS credits and payments made by end clients are credited to the reseller's account directly. In the 'Payouts' section, apart from looking at the details it is also possible to perform the following actions: pay by PayPal (1) or WHMCS Credits (2) and mark the transaction as completed (3). PayPal Configuration (6) by providing PayPal Application Key and Secret - both found within your PayPal account. 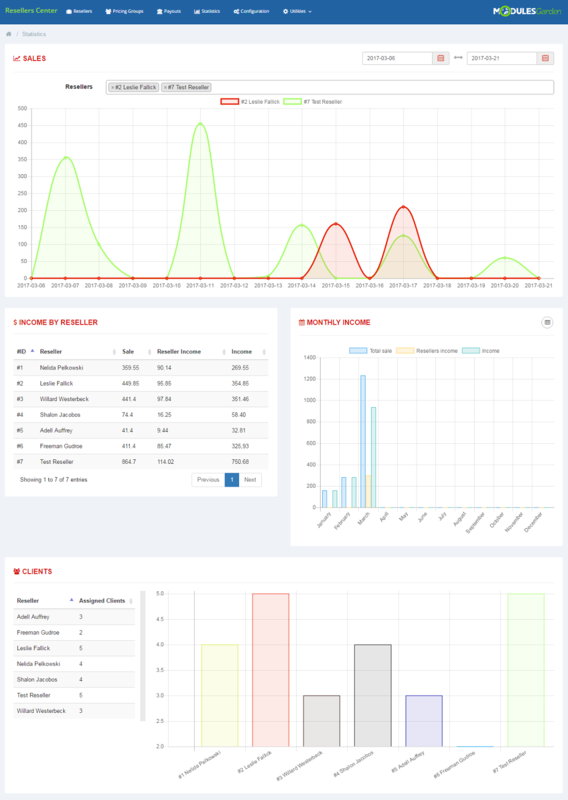 'Statistics' tab allows you to see the amount of sales and income, and the number of clients assigned to resellers. Information about sale is also visible in the 'Reseller' tab. 'Logs' tab allows you to see the details of the actions that have been already performed. In the 'Integration Code' tab you will find the instructions on how to allow your resellers to modify the client area and invoice logo. The 'Reseller Documentation' tab enables you to create and modify the documentation visible to specified resellers. The documentation provides guidelines to help resellers handle their panels with ease. Choose the resellers to whom the documentation will be visible, enter the name of the documentation and its content. 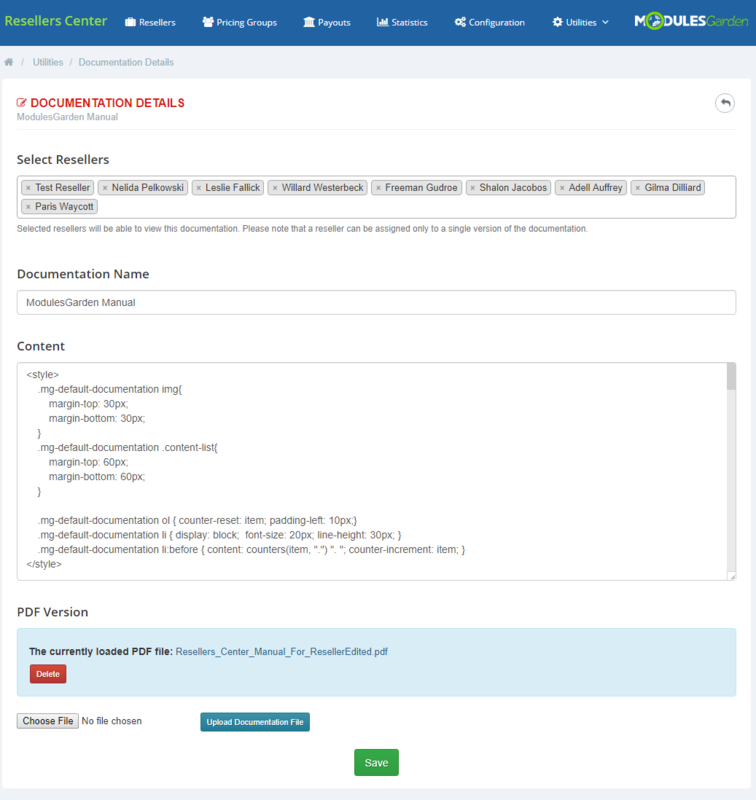 You can use HTML tags as well as attach a PDF version of your documentation. Once ready, click 'Save' to save your documentation. From now on, our resellers will be encouraged to read the documentation from the welcome page, when they enter the Reseller Area for the first time. 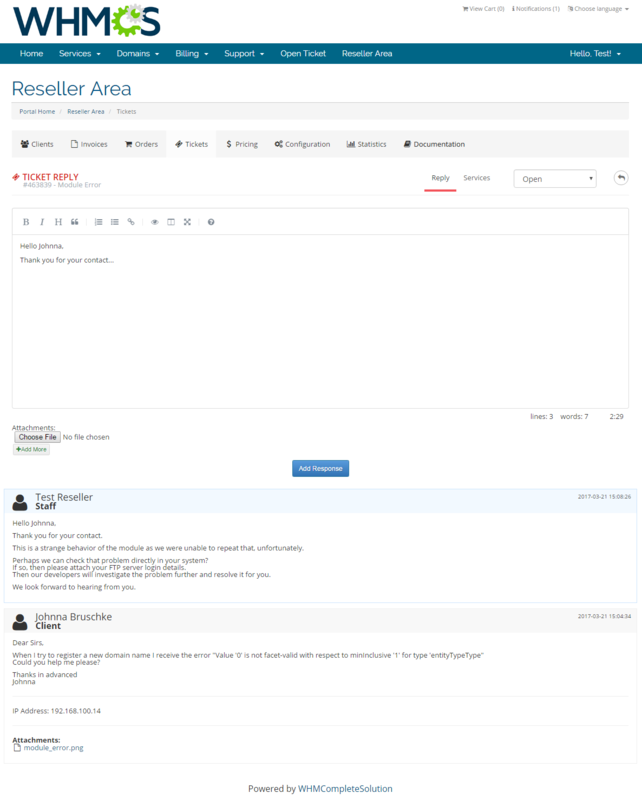 In the client area your clients can add new subclients and access the Reseller Area. 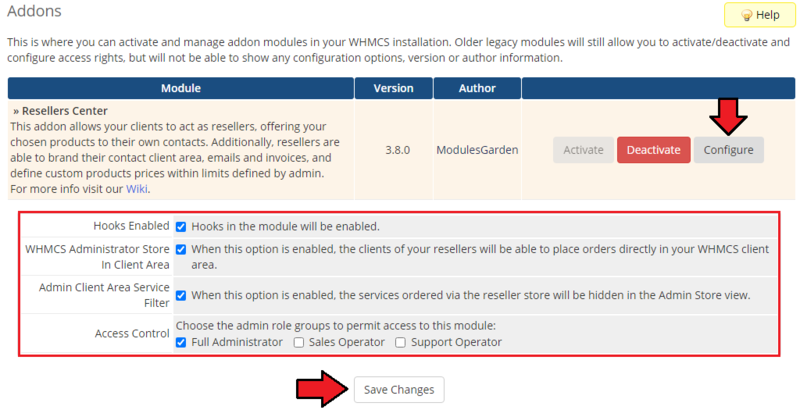 Access to the Reseller Area is granted only to those clients, to whom reseller's groups are assigned in the Resellers Center For WHMCS module. In Reseller Area you can manage clients, define products prices, set up branding, customize email templates and open tickets. Under this tab, you can see a list of reseller's clients and perform various actions. 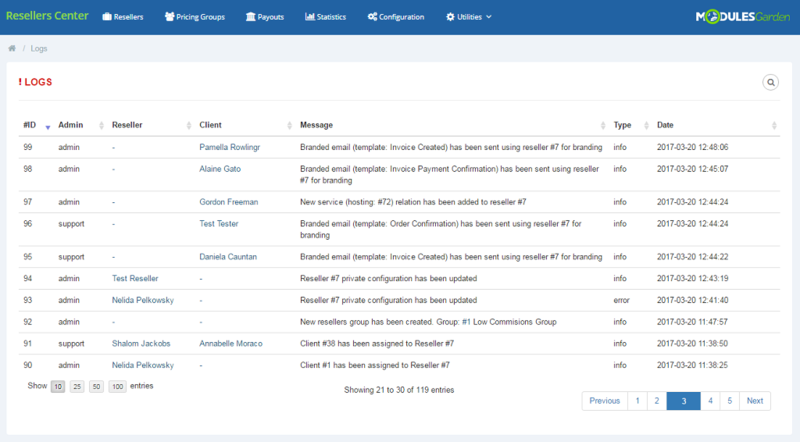 It is possible to log in as a client (1), make an order for a client (2), view client's details (3) and delete a client (4). To add a new client, press the button as presented below. Fill in all the necessary details in both 'General' and 'Address' sections. 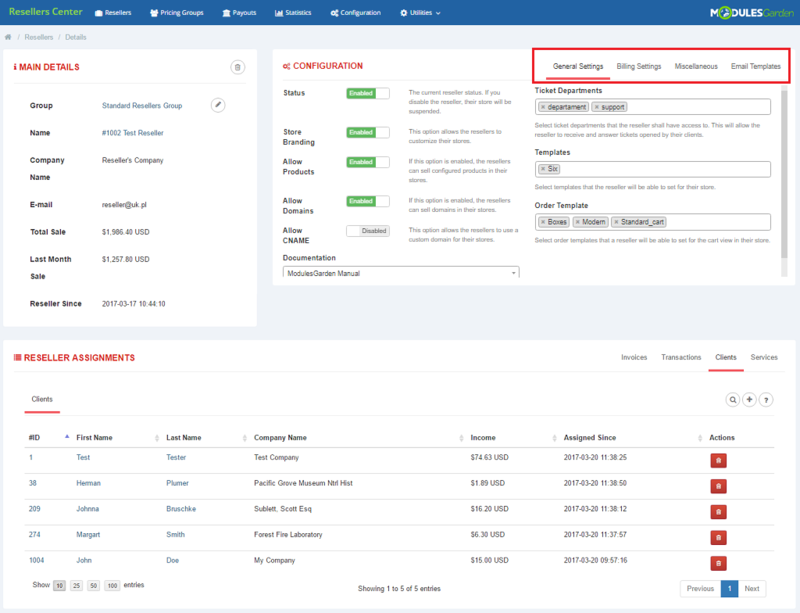 When you enter client's details view (3), you will find here not only his personal details but also information about orders, invoices, services, addons and domains. 'Product Pricing' tab enables you to define prices for products, addons and domains you wish to offer to your clients. Remember, you can define prices only within limits shown as placeholders. If pricing is not provided, product, addon or domain will not be available for your clients. You can also get here a direct cart URL to products group that you can share directly with your customers. In the 'Configuration' tab you are allowed to define 'General Settings' such as your own company name, email signature and logo used across client's client area, emails and invoices. Please notice, that the available reseller configuration options may vary depending on the options you selected in the addon configuration and whether the 'Reseller Invoice' option was enabled for the reseller. Note: Once the configuration of your brand is complete, your reseller will still need to set up a CNAME DNS record if domain is used. This record will point from the branded domain towards reseller main domain used by WHMCS. However if 'Reseller Invoice' is enabled there will be an option to configure payment gateways by reseller or enable auto WHMCS invoice payments. Should you decide to enter the URL to your 'Terms of Service' page, an additional field will appear during the ordering process. 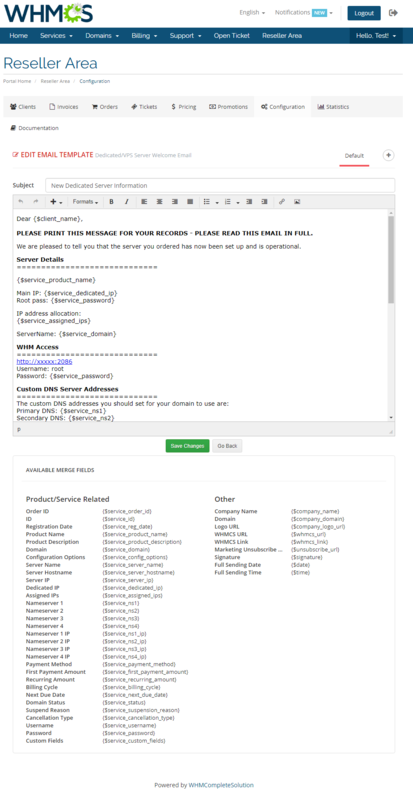 'Email Templates' is a place where you can view and edit email templates sent to your clients. Provided the option 'Allow Mail Wrappers Change' has been enabled for the reseller, empty fields to edit the CSS Styling, Header and Footer will appear. Important: If this option is available, you must fill in these three fields correctly or otherwise issues with email formatting are sure to occur. You may use and alter general WHMCS settings available under: 'WHMCS Setup' → 'General Settings' → 'Mail'. To edit an email template, press the 'Edit' button next to the template you wish to alter. Finally, edit the email template to suit your needs and press the 'Save Changes' button. 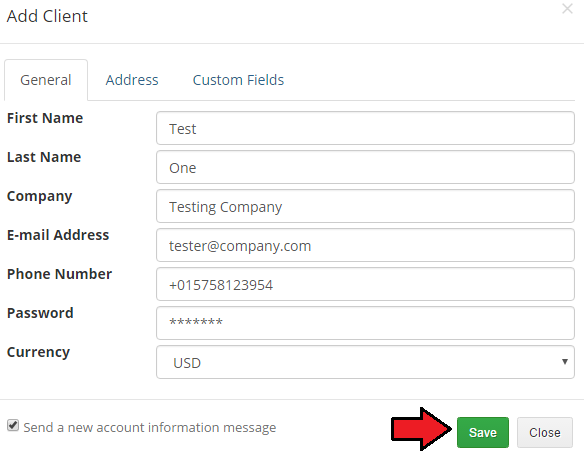 Note: During this step you can easily add merge fields using dropdown menus marked on the following screen. 'Payment Gateways' - this tab is only available if the 'Reseller Invoice' option in the admin area is set to 'Enabled'. and 'WePay' gateways are currently available). Thanks to this, all payments made by end clients are transferred directly to the reseller's PayPal account or bank institution. The payments between the reseller and the administrator are settled through the reseller's previously supplied credit balance. Here is the detailed list of end clients' all invoices together with their status. If the 'Reseller Invoice' option in the admin area is 'Disabled', the listed invoices are generated between the end client and the site administrator. 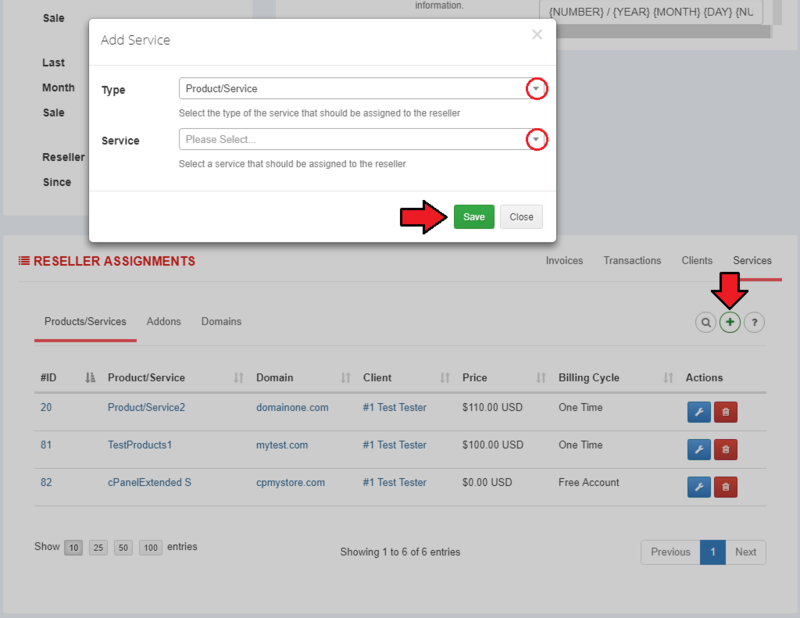 If the 'Reseller Invoice' option in the admin area is 'Enabled', the listed invoices are issued between the end client and the reseller directly. Using the 'Action' button on invoices list reseller can also view and manage the invoice details, similarly to how it is done in the admin area. 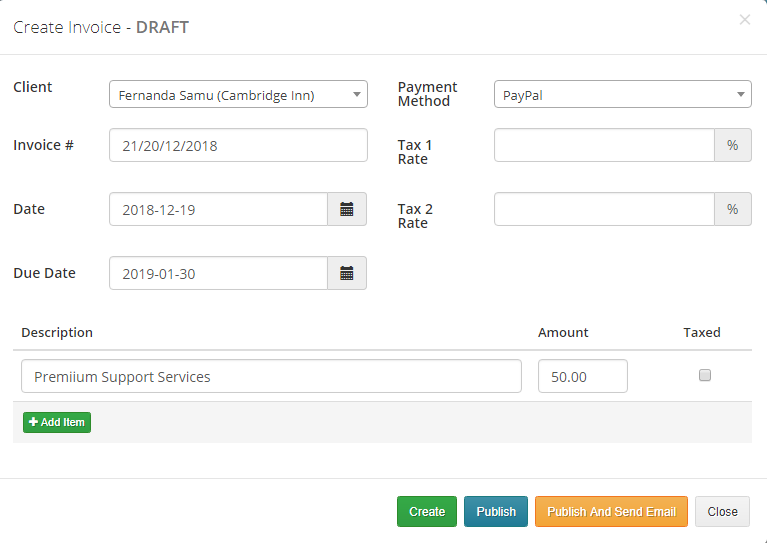 Add a custom invoice. This option is available only for branded invoices between the reseller and the client. This section allows you to view all of the orders with their chosen payment method and status. In the 'Promotions' section resellers can generate fully customizable promo codes in order to apply a promotion for products, addons or domains of your choice. Note: You must first enable them in your 'Configuration' section of a specific reseller. 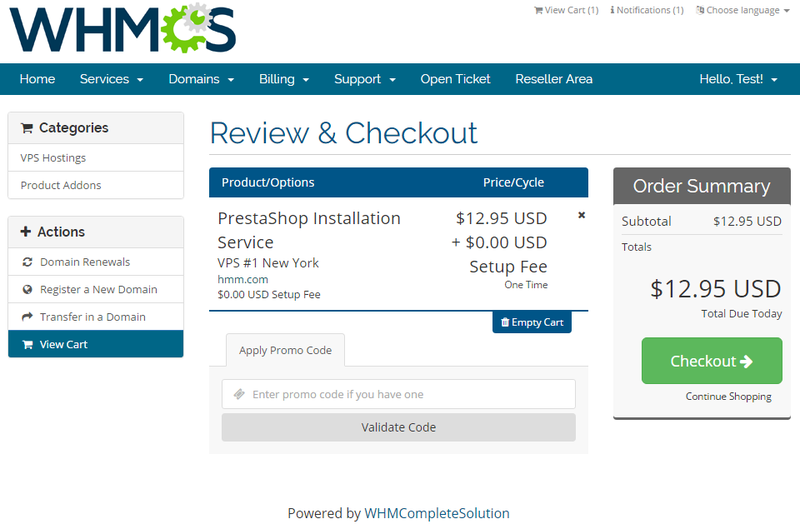 Resellers can use the promo codes created only via the module itself, default WHMCS promotions cannot be applied. Click on the symbol, marked on the screen below to create one. Now you should see all fields required to properly configure a promotion. Type - Choose one of the available promotion types. Recurring - Once set, the discount will apply to renewal invoices. If the field's value is set to 0, all future renewals will be discounted. Enter a different number to specify the exact sum of cycles the discount will last for. Value - Provide the amount of the discount. Start Date - Optional. In case a date is selected, the promotion will start working after the set date. Expiry Date - Optional. The promotion will stop working at the end of the chosen day. Max Uses - Optional. By proving a number you can define the number of allowed uses. Uses - Current usage of the promo code. Applies To - Select what products/addons/domains are eligible for the promotion. Requires - Choose products/addons/domains that are required for the promotion to be applicable. Billing Cycles / Periods - Decide which billing cycles and periods are required for the promotion to apply. Lifetime - In that scenario, the discount will be preserved even if clients upgrades/downgrades their service in future. Apply Once - In case of ordering multiple qualifying products the discount will be applied once. New Sign Ups - The promotion can be used by new clients only. Once Per Client - When a client has already an existing active order a second use of the code will not be possible. Existing Client - The promotion can be used only by existing clients with 1 or more active orders. By toggling the 'Upgrades / Downgrades' section, you will have a few extra fields to configure. Upgrade Type - Select a suitable type of the upgrade the promotion applies to. Discount Type - Choose a type of the upgrade promotion. Discount Value - Enter a rate of the discount. Upgrades Of Configurable Options - Provide an amount of the discount. Notes - Any notes will be visible for you and for administrators exclusively. There are two ways to add a product to an end client account, we will show you both of them below. Your resellers can place orders for their own customers as if the orders were for themselves. Both your reseller and the end client will receive an order confirmation email. 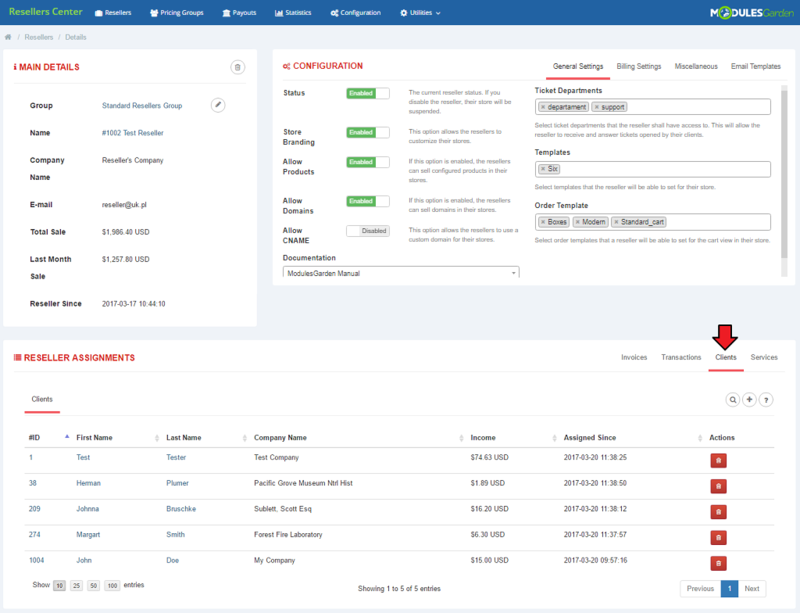 Afterward, when an end client logs in to the WHMCS client area, he/she will be able to view and manage previously ordered products. 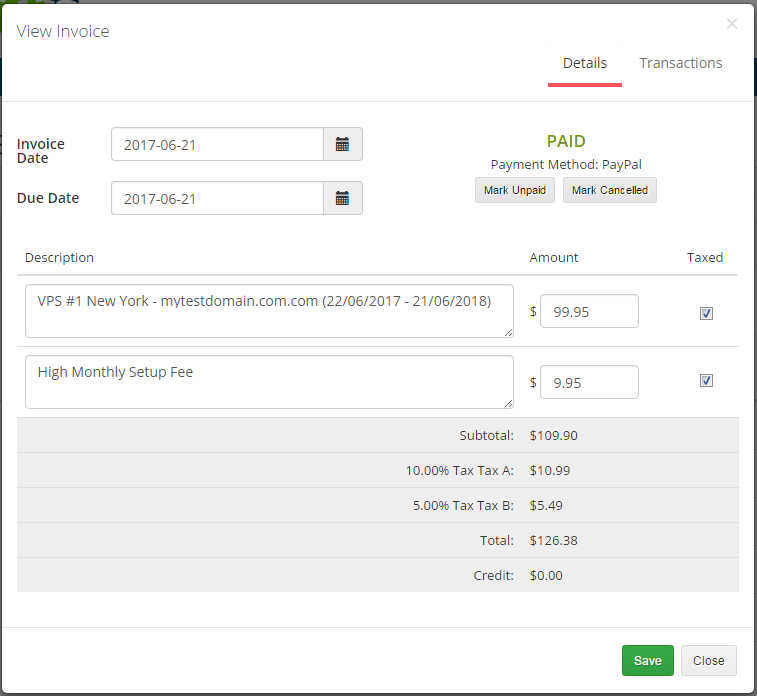 End clients can also list and pay invoices or create tickets (if these options are checked in the addon module). Your reseller's clients can view order form with the list of products configured by their resellers. 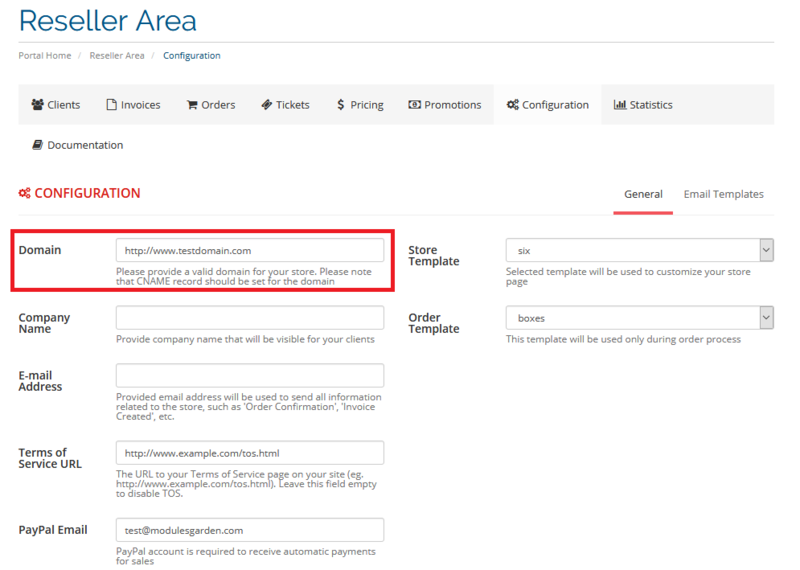 Therefore, your reseller's clients can make orders on their own, using order forms in the client area. If you have not disabled tickets in your addon, your resellers will be able to reply and forward tickets created by their clients. 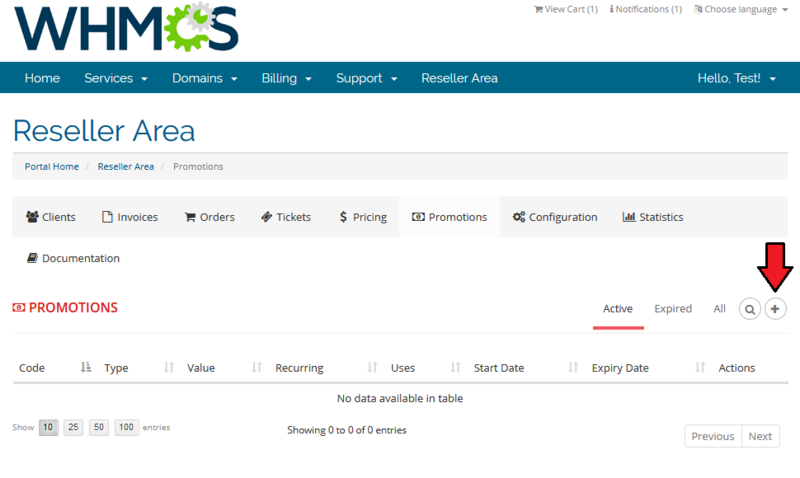 It is only available for tickets department set in the Resellers Center For WHMCS configuration. 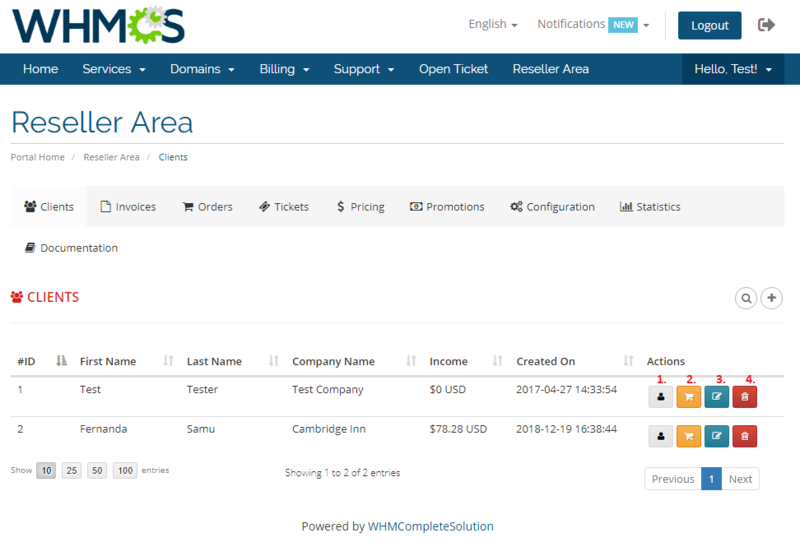 On the screen below you can see a list of all the tickets created by a reseller's clients from the client area. You can easily reply to them. An end client sees a branded client area. Since the version 3.x of the module end clients are treated as regular WHMCS clients. In general Reseller receives a product from the Provider and then provides it further to the End Client. Since the release of v3.0.0 the payment between the Reseller and Provider will be regulated by WHMCS credits but it can be also regulated manually or automatically to Reseller's PayPal account. If the 'Reseller Invoice' option in the admin area is Disabled, the invoices are generated between the end client and the site administrator. If the 'Reseller Invoice' option in the admin area is Enabled, the invoices are issued between the end client and the reseller directly. In this section you will find guides on how to create a CNAME record in popular control panels. For instance, if a reseller's branded domain is 'reseller.com' and the domain with your WHMCS is 'whmcs.domain.com' , the CNAME needs to be 'www.reseller.com. CNAME whmcs.domain.com.'. Note 1: As you can see above, each domain has to be closed with a full stop. Note 2: To learn more about certificate requirements, visit the SSL Certificate section. The domain used by each of the brands must be parked on the main domain. In case a domain cannot be parked or it is a subdomain, you must create the CNAME records that will redirect from the brand domain to the main domain. Only when you have parked your domains can you move to setting the CNAME records on your panels. See the tips below. 2. Press 'Simple DNS Zone Editor' under the 'Domains' section. 3. Select the domain you wish to manage from the menu. Note: This step is required only if you own more than one domain. 4. Fill in the 'Name' field and the 'CNAME' record and press 'Add CNAME Record'. Note: To define the record's TTL, you have to use 'Advanced DNS Zone Editor'. 1. Log in to your DirectAdmin. 2. Click 'DNS Administration' . 3. Afterward, select the desired domain. 4. Fill in the full domain/subdomain into the CNAME record and press 'Add' next to it. Note: Do not forget to place a full stop at the end. 2. Press 'Domains' under the 'Hosting Services' section. 3. Find the domain to be edited, and click on the corresponding Control Panel link. Afterward, proceed to the 'Websites & Domains' tab and press 'DNS Settings' . 4. Find the domain to be edited and click on the corresponding Control Panel link. Afterward, proceed to 'Websites & Domains' tab and press 'DNS Settings'. 5. Add a new record or edit the existing one. 6. Now, change the record type to 'CNAME' and fill in both the 'Domain name' and the 'Canonical name'. Note: The changes will take between 4 to 8 hours to update worldwide. Remember to restart your server once it is configured. If resellers branded domain or your WHMCS main domain are using the SSL connection, they should also support selected certificates. Dedicated SSL Certificate - handled separately for each domain. Wildcard - if all brands and main WHMCS are using the same domain. SAN - if your brands and main WHMCS are using different domains. This is the way WHMCS works. It is not the limitation of our module which is using 'WHMCS System URL' scheme. 1. Log in to your cPanel and press 'SSL/TSLS Manager' under the 'Security' section. 2. Click on 'Manage SSL sites' under 'Install and Manage SSL for your site (HTTPS)'. 3. (installing the certificate) Select the domain, paste certificate and the private key, and save the settings. 4. (using the already installed certificate) Select it from 'Browse Certificates' , and save the settings. You can also consider enabling the AutoSSL solution, which should automatically installs domain-validated SSL certificates. Go here for more information. Note: AutoSSL function will rather not work for CNAME entries so you should use virtual hosts (vhosts) instead. 1. 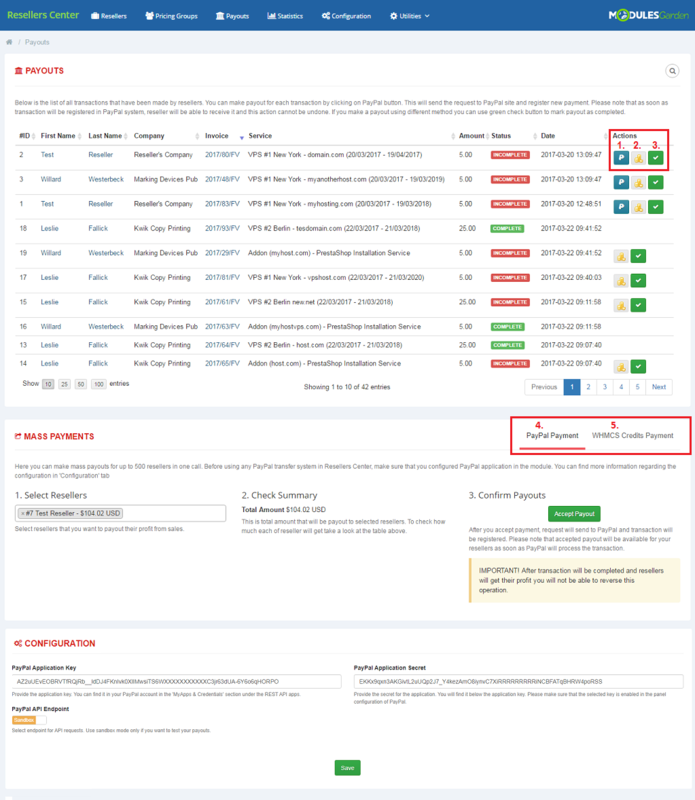 Hiding a product or a group of products in the main WHMCS will not keep them hidden for reseller's clients. Thanks to that functionality, there is a chance to configure special products destined for resellers exclusively. These will not be accessible in the main Administrator's store. 2. If your WHMCS is installed in a subdirectory, your resellers using CNAME record must provide their links with it. For example, reseller.com/main-whmcs-directory instead of reseller.com.. Result: If hostname is not main-whmcs-domain.com and path is not whmcs-directory', then redirect to resellers domain with /whmcs-directory. 3. When it comes to our Resellers Center For WHMCS and Social Media Login For WHMCS modules, they are compatible and work faultlessly unless your reseller uses a branded domain. 4. If you enable the 'Reseller Invoice' option and any invoice is created in the meantime, you will no longer be able to disable this option. 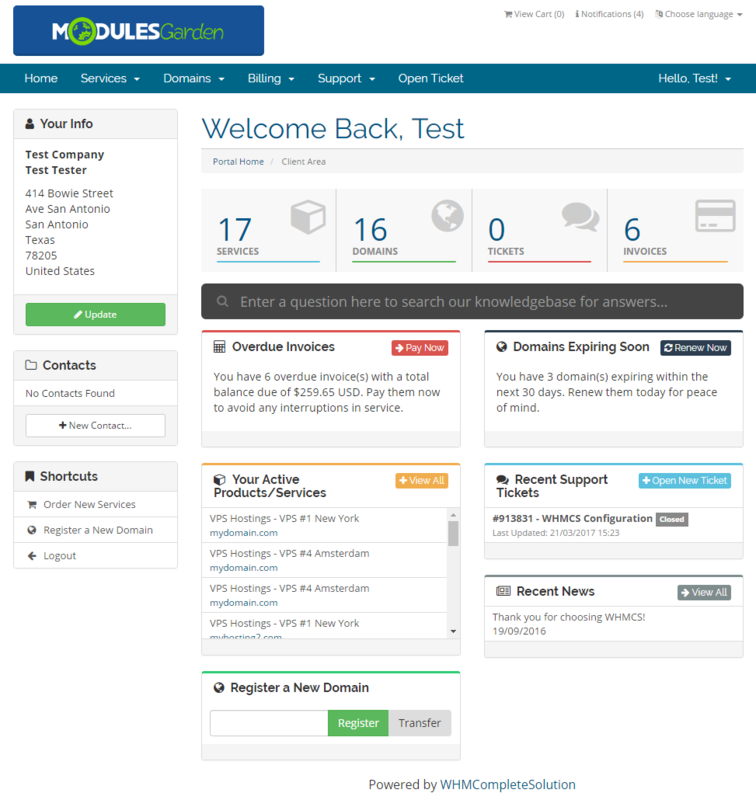 Migration tool allows you to upgrade Resellers Center For WHMCS module to the latest version. Note: Version 3.x currently supports migration from the version 2.5.x of the module and it will only transfer data on resellers, resellers' clients and resellers' groups. Therefore, the other settings of the module need to be reconfigured manually. To perform the migration simply overwrite old files to the latest version of the module and refresh the addon page in the admin area. 2. If you are using HTTPS, remember to implement a redirect from HTTP to HTTPS on the reseller's domain. Otherwise, WHMCS will route visitors to the main WHMCS and not the reseller store. Keep in mind that when WHMCS creates the redirection, the domain is changed as well. 3. 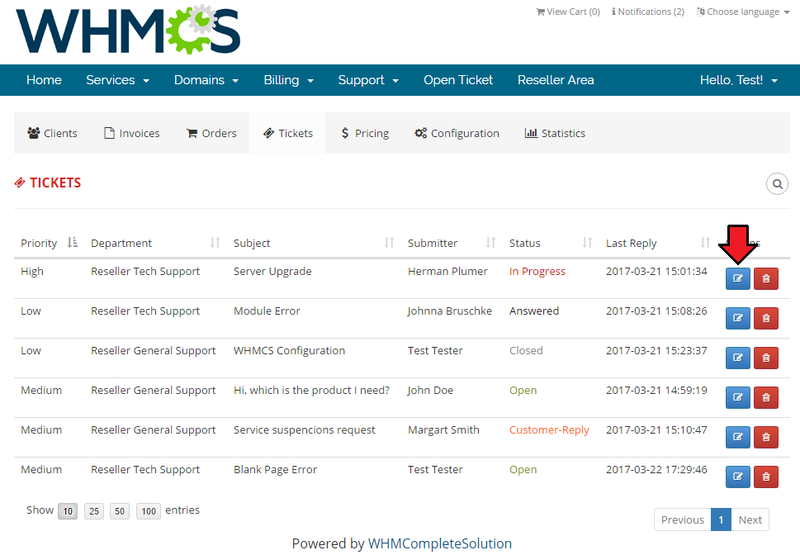 We do not recommend using Resellers Center For WHMCS with Multibrand For WHMCS, SMS Center For WHMCS and Discount Center For WHMCS modules. Integration between these modules is hampered due to specific features of each one of them and their individual work flow. That is: separate email templates used (SMS Center) or common hooks that override one another (Multibrand and Discount Center). In case you are using some custom template, you must be aware that unexpected errors might occur and we cannot take the responsibility for solving them. This page has been accessed 60,333 times.